It all started a month back….I had just won myself a ‘fun award’ at the office party for the category of ‘best smile’. I was going to collect my prize, but gravity suddenly defied me…. I was flying in the air and before I knew what was going on, I crash landed on my back. I opened my eyes to see utter shock on everybody else’s face, as if I had met with a car accident or something. Now a party is a party, so I danced nevertheless, cos what the hell, a stupid sprain is a stupid sprain. Alas! When my stupid sprain had swollen to the size of a tirupathi ladoo that night, I knew that something was amiss. But the ways of the corporate world are different, you’re not only incessantly bothered by calls from the office when you’re watching spongebob, you have a mountain of work waiting for you when you get back. So I hopped about with my crepe bandage, much to the joy of my colleague A who kept shouting ‘Langda Tyagi Bahubali’ every time I limped past him. His virus spread and my ‘office-ial’ nickname is now Langda Tyagi. Limping is a pain, but the nice thing about being a Langda Tyagi is that everyone spoils you rotten, office meanies are forced to be nice to you, etc etc. The trauma started when the swelling did not reduce after two weeks, and I was told to wear a plaster cast. As if my sister and her kids coming down was not shocking enough, I had to pack all my high heeled shoes (doctor’s orders) and the only footwear I could wear were my bathroom slippers. I struggled to walk with crutches, and had to take extra care with where and how I walked; had to plasticate myself every time I took a bath (BIG PAIN) and oh, the real trauma is the body ache that is a result of transferring the weight of one entire leg onto the rest of your body. And somehwere in between I was being harassed by a loser on the phone. All in all, I clung on to the hope that after two weeks, the ordeal would be over. Today was the day I was to be a cast-away! I was warned that post-cast trauma lasts for two days, what with the foot muscles becoming really weak and a frightening increase in hair growth in the plastered area. But who cares, the cast would be off and I would be Langda Tyaagi no more. “At least you did not hurt your head or your back” was what my mom said to console me. The twins and the niece are a great distraction and the best way to forget about the pain. My cols continue to pull my ligament…I mean leg…but oh well…another week (or two), and hopefully, this trauma will FINALLY be over. Hum bhi the cast main..tum bhi ho cast main..yu na aasu baha..Sailaro Sailare..jo hua woh hagayo re..
oh! so that’s the whole story.. damn.. i really hope your leg gets better! i know just what it’s like to limp around and get so impatient with yourself.. oh and the sleeping trauma.. gosh yeah i do know how you feel (2 tears in the same ankle kinda makes me not forget what it’s like :P)but i don’t see why u don’t like the cast.. its ok na? atleast it keeps the pain in chk 😐and oh girl ur mom is right! you should be sooooo glad it’s not your back. I know it doesn’t help you to know that coz ur leg’s in a cast anyway.. but really u know i know what i’m talking about! OH NO!!!!!!!!!!!!! So that explains why you have been away from the blogosphere. I had been worndering – and with good reason! Oh no! 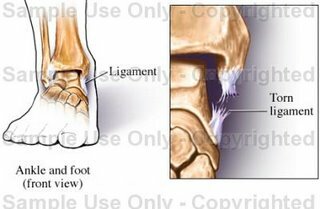 Best wishes to your ligament. And yes, that’s the strange things about offices – they don’t really like for you to rest and recuperate so you can com back. They continue to pest. The bright side is that you know you’re an integral, critical part of the organization. But the other part likely says “Let me heal in peace!”Sending warm vibes to your ligament…. Bummer.Autogato broke her foot on a blind date once by mis-stepping in her high heels, so I know she can relate.I hope it heels this week! Women should just embrace the “fondfire asthetic” and give up on high heels, shaving body parts, and wearing make-up. Then none of this would happen. And soon, guys everywhere would forget about the ridiculous beauty regiments of the past . . . But that ain’t gonna happen! 😉I hope you get to wear pretty shoes again, though, as you obviously love them. And you have my sympathy.On a technical note, I wish I knew a little more about some of your references. (I looked up Bahubali online and found the story of a Jain ascetic, but I couldn’t figure out how you’re a Bahubali! )To invoke a very old (and fogotten) Western reference, I hope Apollo and Asclepius bless you with very prompt healing! After all, if you have the very best smile (as I imagine you do), then the jealousy of some little evil eye taking away your grace for a moment shouldn’t be allowed to penalize you for long!!! So, surely the blessings will be forthcoming and the evil eye averted extremely soon . . .Take care and feel loved. hahathanks for all your wishesas for high heels,i don’t love them….but if you notice, the woman’s market has been designed in a manner to bring in all vicious little things like high heels and make-up, whether we like it or not. Thus all the manufacturing companies are making money, while us women are ending up wiht torn ligaments and a low self esteem 😛The only reason i wore heels that day (as i do almost every other day) is cos my pants were too long. why? cos they ahve been DESIGNED that way….i have NEVER come across a single store that sells pants that are the right length…and to get them altered is a pain, to fold them looks tacky…and then when u wear long pants n high heels, your clothes grab more attention than you, and you are forced to wear a little make-up to literally “make-up” for it 😛so if women all over the world protested against long pants..who knows, the ‘fondfire asthetic’ might become a reality! fondfire – i should ahve added – bahubali is the jain king who foght his bro – and i guess because of that bahubali is a reference to an army general/great warrior/ etc. In the movie, langda tyagi aspires to be the next ‘bahubali’ – in this speficifc case bahubali refers to becoming the ‘next-in-command’ in the political party. That copyrighted image is damn hilarious! Do take care, keep a watch for those woodoo dolls. isn’t ‘not able to scratch places that itch’ the biggest trauma of being a cast-ist? (for me that was, and i used spoons, broomstick-sticks and what not to reach out!! )…anyways, good luck with the recovery…(and do ppl write nasty ‘get well’ notes even on leg casts?).. Bahubali literally mean ‘the most powerful’. Break the word and you get Bahu + Bali. ‘Bahu’ means arms and ‘Bali’ means powerful. In the movie Omkara, the title is used for the leader of the political party who is supposed to be most influential and powerful. and as she is already making muscles by walking on those crutches.. the title just suits her right :)regards,AP.S. it was ‘Fun’ awards and she won ‘Best Smile’. even I had won 2 ‘fun’ awards in different categories. now i know the whole story…you poor dear!! hope your trauma will finally be over in 2 weeks…. the copyrighted imaged is highlarious! !where’s it from? reminds me of the whole IP law shindig…hehehehehe! You’re so right about heels – companies make money off of them, but they are so bad for us! Why do we do this to ourselves? ?I hope you are feeling much better, TQ! so thats where you’ve been – we missed you here – in blogsphere 🙂but u poor thing, you …I hope u’re feeling better already.its a terrible feeling – staying in bathroom slippers – its like those damn slippers pull you down literally – while u fish to fly around in your dainty heels ..really know that feeling.